With all the wedding planning that you have to do, you owe it to yourself to make sure that the end result is full of festive fun! This coral and mint beach wedding was shot by amazing photographer Nadia Meli, with the help of event planner Sylvia Strauss from Special Events. This destination wedding is located in the stunning environment of Western Cape, South Africa. 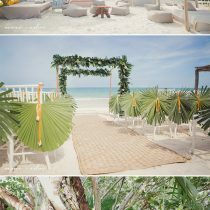 The vibrant colors used to make this wedding come alive really complimented the bright sun and light sands! 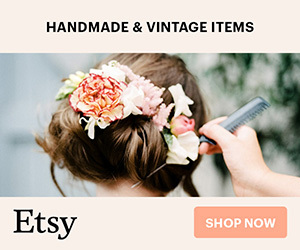 With the bridesmaids wearing short coral dresses and the groomsmen sporting manly Bermuda shorts and dress shirts, you can tell that the couple wanted to make sure the people they cared for most were just as comfortable on their special day. From the natural wood tables to the chevron placemats, the design of the reception played with textures and patterns that all culminated into the sweetest rustic style. 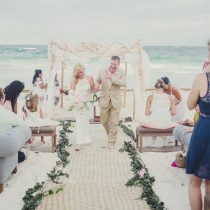 One thing is for sure: the style and happiness of this coral and mint beach wedding surely lifted my spirits! 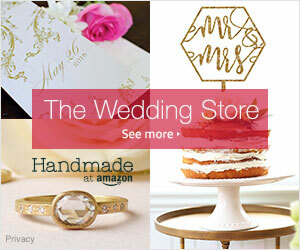 It kind of makes me want to redo my own wedding in the exact same style and color palette. Simply love it!